Spicy Potato Wedges - Chocolate Chocolate and More! 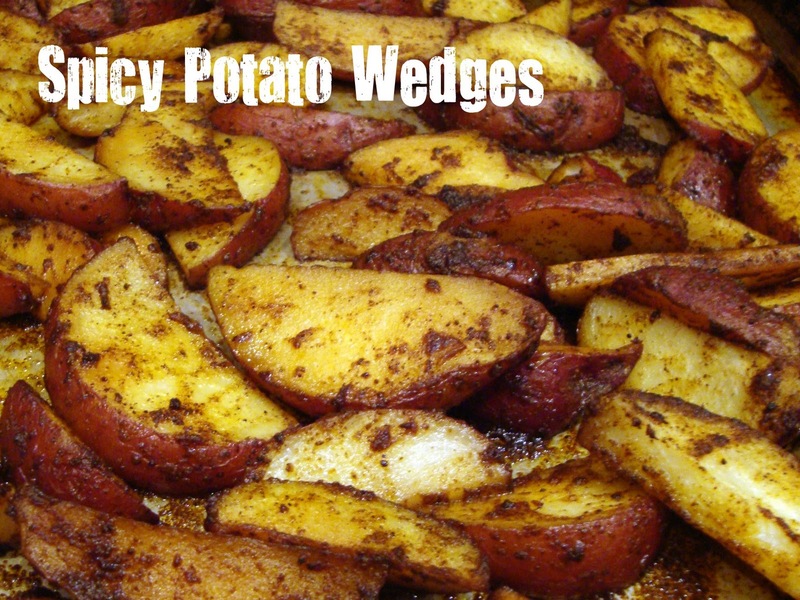 Spicy Potato Wedges are an easy side dish for burgers. This is a simple, easy recipe. Found it a few months back at One Perfect Bite. The first time we made them, I used Idaho potatoes. They were wonderful. Since then, I’ve used red potatoes, yellow potatoes. I think any potato would work well with this recipe. These are a nice change from french fries and go perfect with a burger. then add to oil in a large bowl. Add potatoes and coat well. Spread potatoes out on to a baking sheet sprayed with non-stick cooking spray. Bake in a preheated 400 degree oven for 30-35 minutes. Yum! Always looking for new ways to make potatoes. I love anything with potatoes and spice just makes everything… well… NICE! Thanks for bringing this recipe to Weekend Potluck. I pinned it to my side dishes board. You can’t beat a good potato wedge and these look fabulous – yum, yum! This looks delicious; I love new potato recipes 🙂 Thank you so much for sharing at Mix it up Monday, I hope to see you next week too!